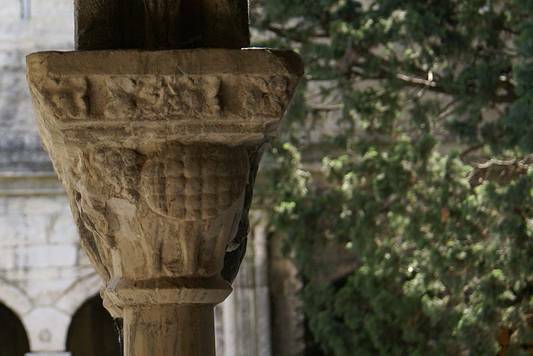 Here’s proof that the tarasque is a real live piece of Provence’s folk history: a carving on a column at the church of Saint-Trophime in Arles. If I understand the construction history correctly, the oldest parts of the complex date back to the 12th century. This column is part of the cloister next to the church. Explore the church on this nifty website. Terry’s wife, Diane, was the one who had the idea to knit tiny tarasques, and she pointed out how much this carved tarasque looks like my design. 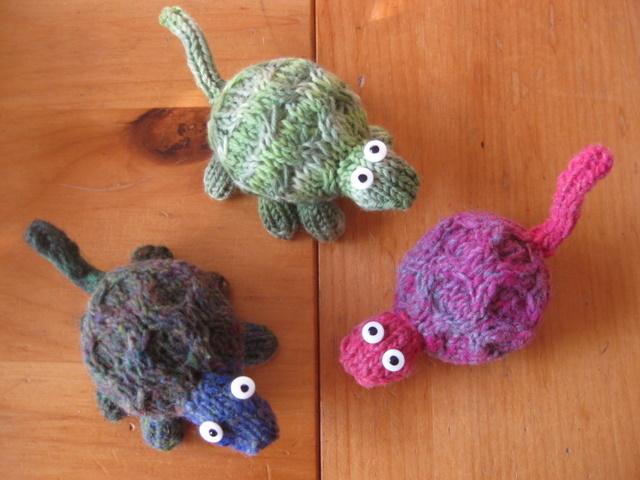 My brilliant team of tarasque knitters used my pattern to produce 10 of the little guys to be sold at the merchandise table the second weekend of The Christmas Revels. 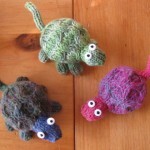 If you’re a knitter, the tarasque has its own pattern page on Ravelry, although I haven’t uploaded the pattern yet. Oh my god, the goggly eyes are SO CUTE!